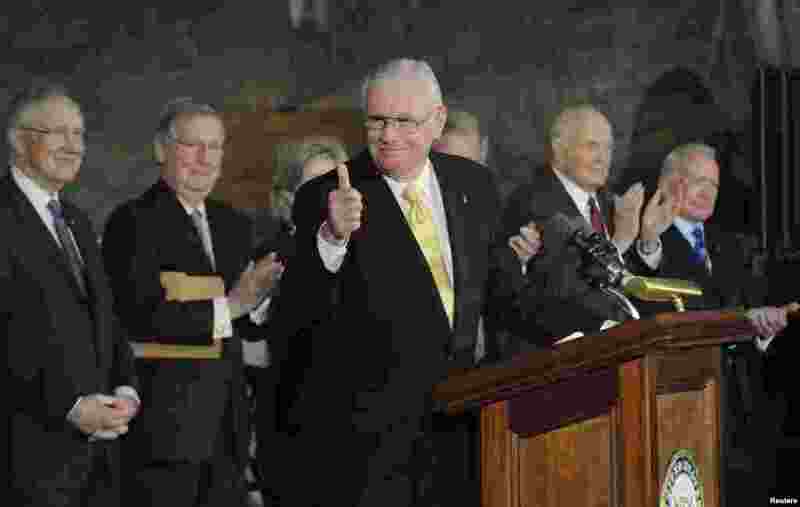 2 U.S. astronaut Neil Armstrong (C) gives a thumbs-up after receiving the Congressional Gold Medal at the U.S. Capitol in Washington, November 16, 2011. 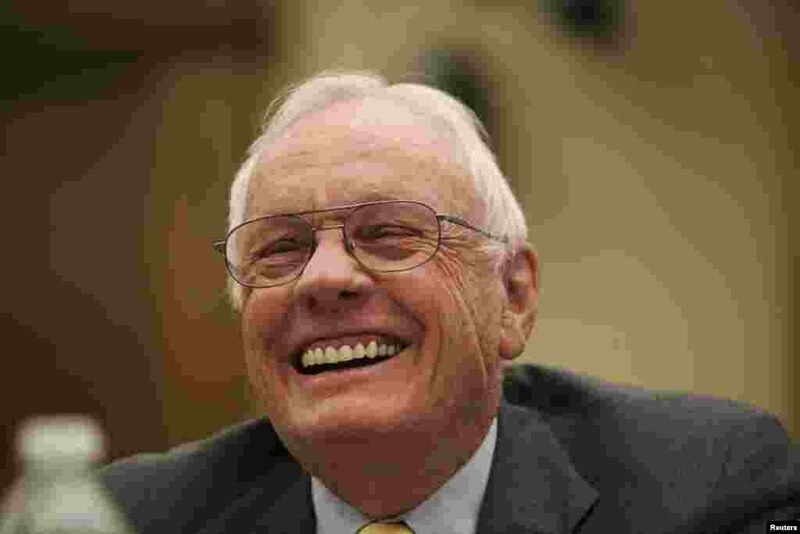 3 Neil Armstrong, commander of Apollo 11 and the first man on the moon, laughs during testimony before a House Science, Space and Technology committee hearing in Washington, September 22, 2011. 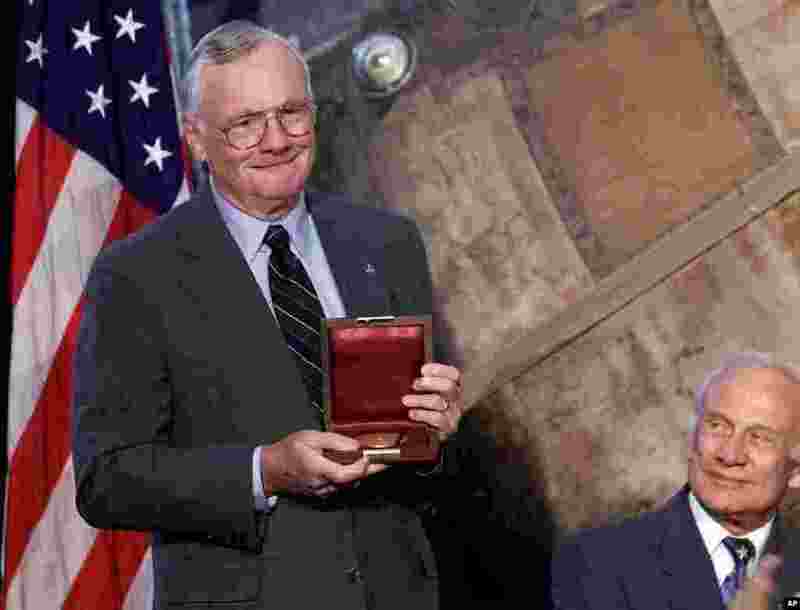 4 Apollo 11 astronaut, and the first man to walk the moon, Neil Armstrong, left, holds the Langley Gold Medal after it was presented to him by Vice President Al Gore at a ceremony at the Smithsonian Air And Space Museum in Washington, July 20, 1999. 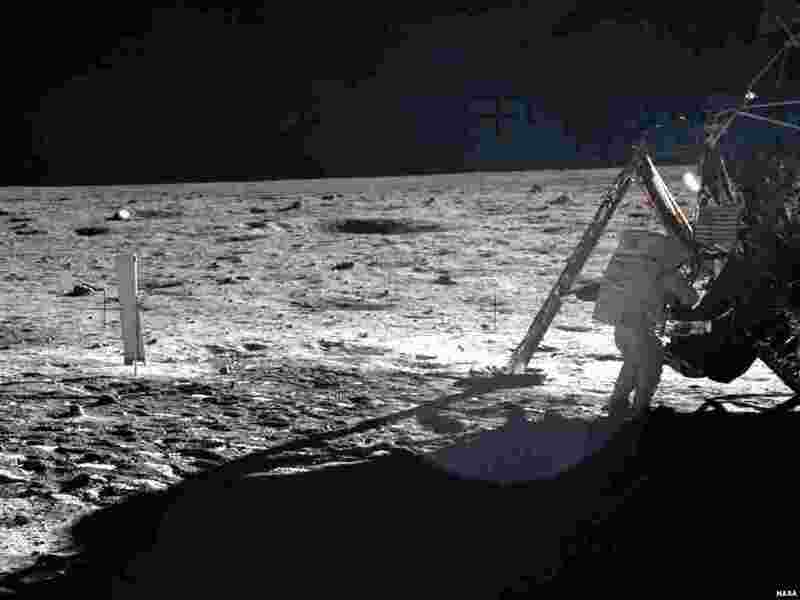 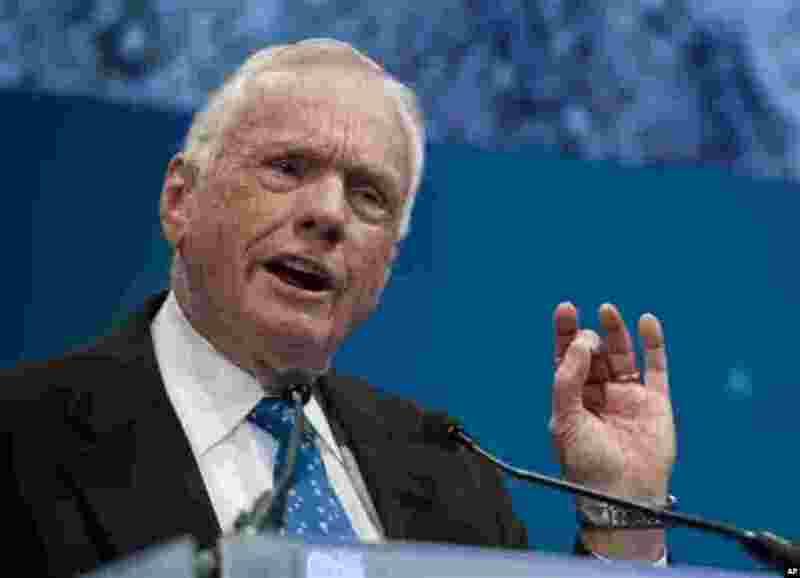 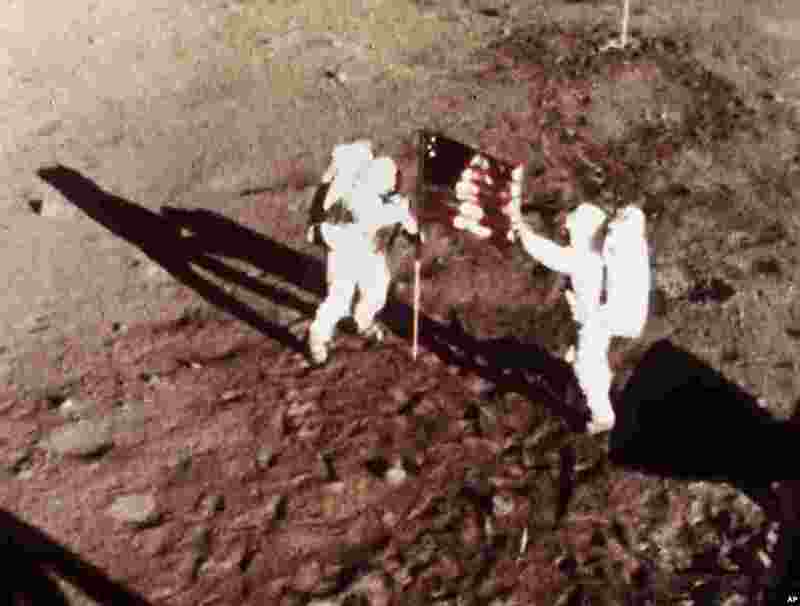 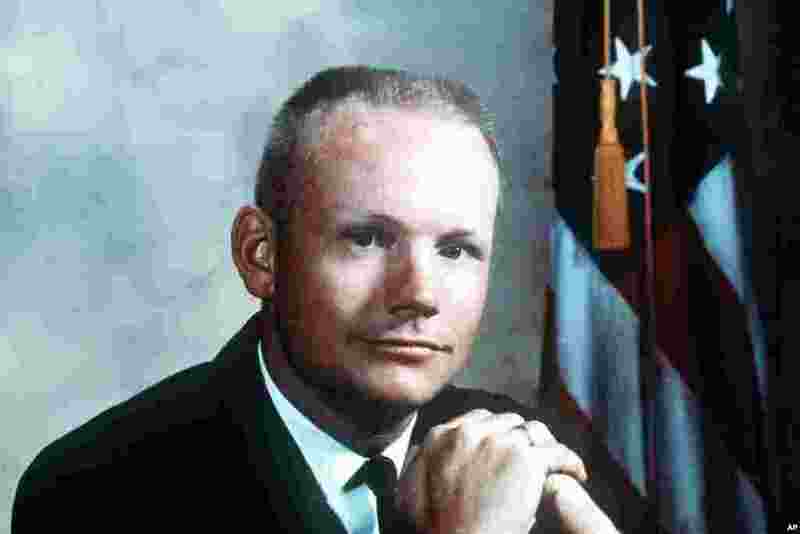 6 Undated file photo provided by NASA shows Neil Armstrong. 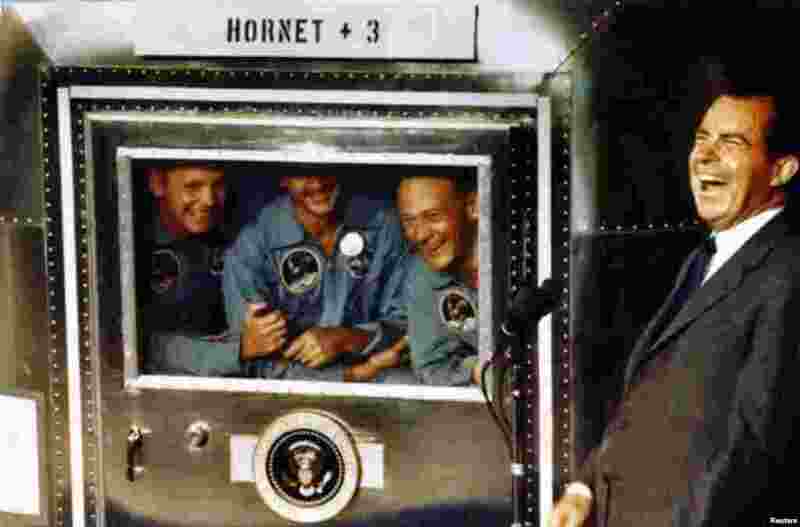 7 Apollo XI Astronauts Neil Armstrong (L), Michael Collins (C), and Buzz Aldrin laugh with President Richard Nixon aboard the USS Hornet, courtesy Richard Nixon Foundation, July 24, 1969. 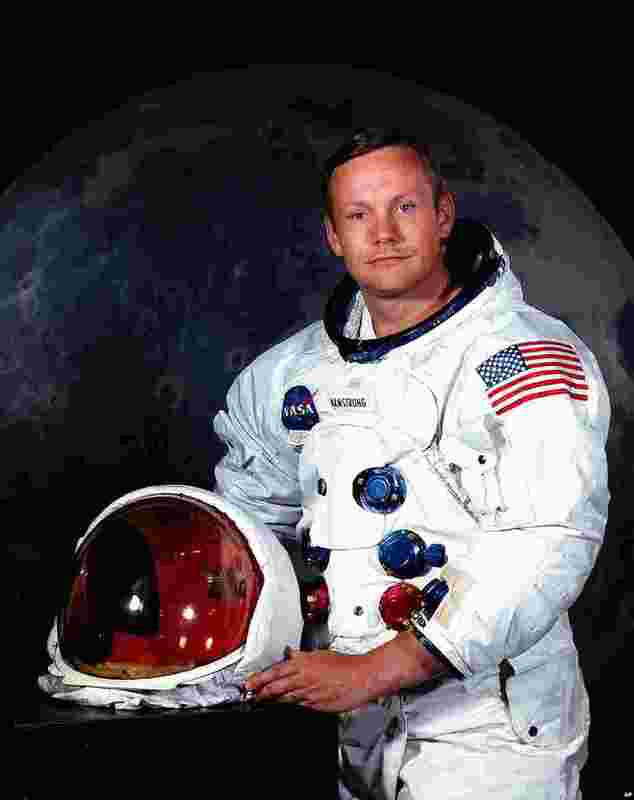 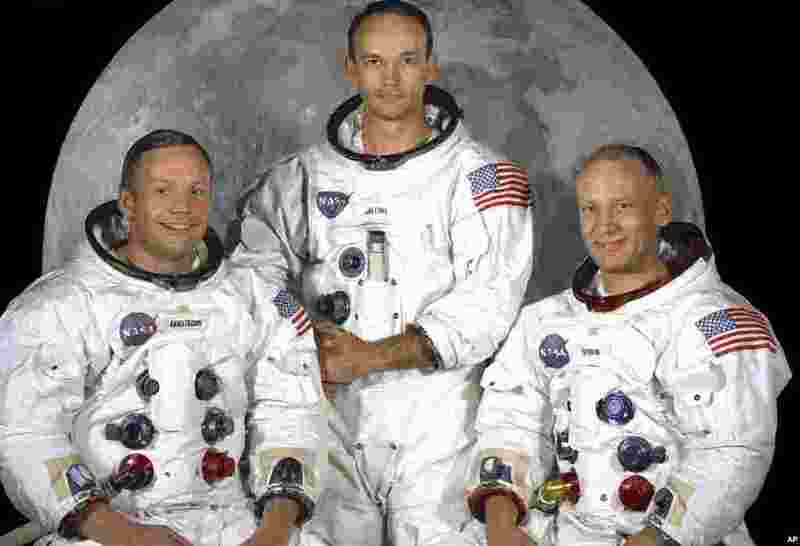 8 Neil Armstrong, U.S. civilian astronaut, became first man to walk on the moon as flight commander of Apollo 11 space mission, July 1969. 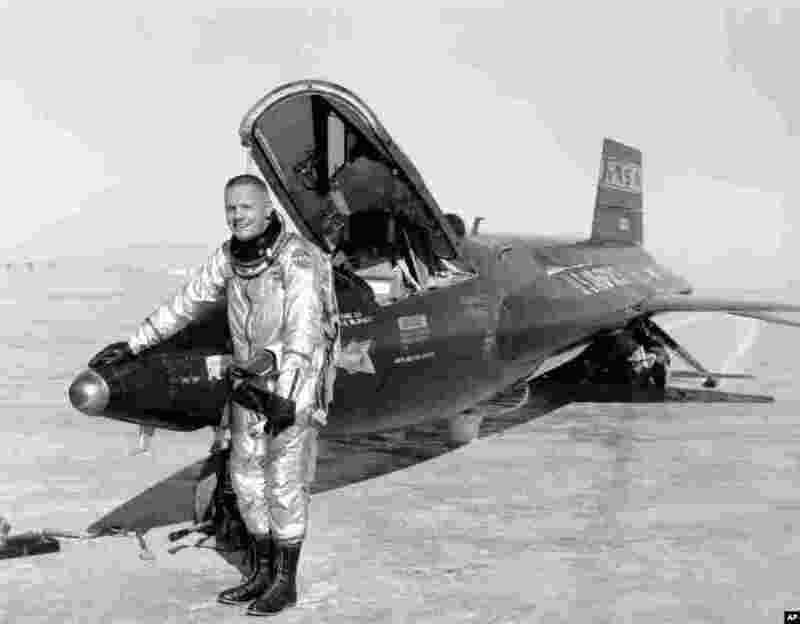 9 Undated image provided by NASA shows Neil Armstrong posing with a X-15. 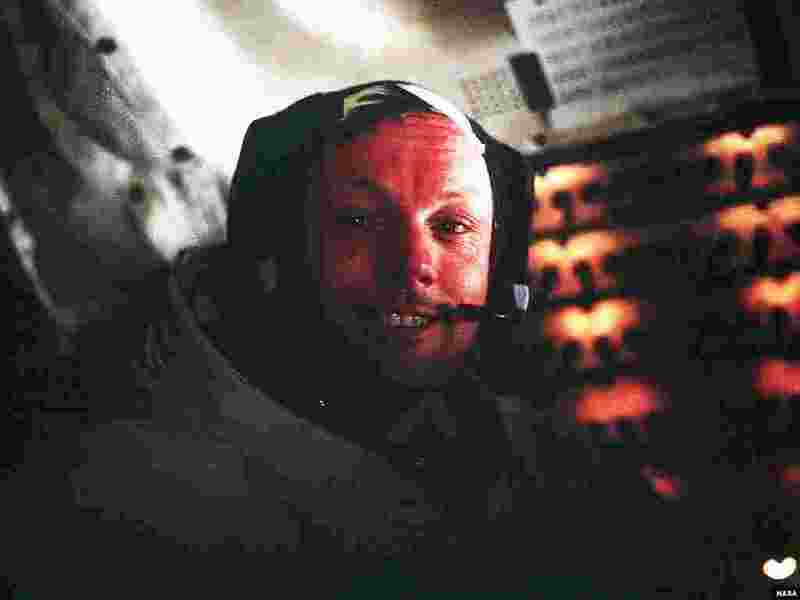 12 Astronaut Neil Armstrong, Apollo 11 Commander, inside the Lunar Module as it rests on the lunar surface after completion of his historic moonwalk, July 20, 1969.